Great experience, right customer approach, 2 new leased Jaguars! Well done mr. Amr Mousa!!! Mohammed was my salesman, Rudy was my finance guy. Both were amazing. Fantastic experience!!! I had an amazing experience at jaguar Paramus last week. I leased the 2017 jaguar XE. Servet Acar was my sales manager, he is the best. He was very professional, polite, experienced and super helpful. He was able to offer me a great deal and answered all of my questions. I extremely recommend this location and Servet Acar a sales manager to everyone. If I can rate this more than 5 starts, I definitely would. Thank you Servet and jaguar Paramus. 5 reviews 5.0 star rating 5/8/2017 I went in Jaguar Paramus to check out the new F-pace. AJ Nguyen,my salesman, was fantastic--accomodating, knowledgeable, responsive and pays impeccable attention to detail. I compared the F-pace to the Porsche Macan, and based upon the service, professionalism, and my experience with this dealer and AJ,I was thrilled to choose the F-pace and Jaguar Paramus. Also, Jesse, the product specialist, explained all the functions my new car with extreme patience and thoroughness. I highly recommend this dealer and AJ Nguyen! I could not compliment the Prestige Jaguar team more! My experience was flawless. I have leased with Mercedes for 10 years and decided to shop around not even expecting to lease elsewhere. The customer service was exceptional (especially Jeff and AJ) and I fell in love with the F-Pace! Decision was easy! I picked up my new car yesterday and couldn't be happier ! Thanks so much for such a great experience ! I've been going to them for years! Truly professional and courteous! Waiting area for service is awesome too! I just traded in a 2006 Land Rover for a lease on a 2017 Jaguar XF 35T and I could not be happier. Although I really liked my old Land Rover and miss it, the new Jaguar is really an amazing car. I worked with Peter Liebmann to find the right car for me. He was very patient with me, knowledgeable about the Jaguar lineup and helped me negotiate a very fair lease price. Peter even sat with me for over an hour in the car explaining how everything worked. I am not a very tech mind...ed person so Peter had his work cut out for him in explaining to me how every button and touch screen tab worked. Within that hour I had my phone synced, the radio stations set-up, my dashboard configured, knew how to set the heated seats and steering wheel and had the mood lighting set (Who knew that cars had mood lighting, let alone choices of mood lighting!). It is a change going from a full sized SUV to a mid-size car for sure but the changes are fun and the car is very enjoyable. Today I received a phone call from Peter following up with me to be sure I was enjoying the car and to see if I had any questions that he could help me with. He gave me an open invitation to return to the dealership where he would spend the time required with me going over any questions that I may have. In today’s world of limited customer service where the norm has gone from counting back your change and thanking you for your purchase to wadding up your change shoving it in your direction without so much as an acknowledgment that you even exist, Peter is a true professional who values his customers and treats them like gold. It was a real pleasure working with a salesman who loves what he does and treats his customers with courtesy and respect. When you walk into Prestige Jaguar/Land Rover I suggest you go directly to Peter’s desk on the right side of the showroom – you will not be disappointed! Thank you Peter! 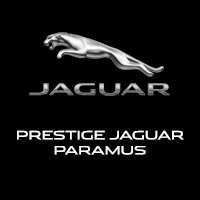 Had a great buying experience at Prestige Jaguar! Had the pleasure to work with Michael Cooper who made the whole thing a lovely experience. Walked in to the dealer and was immediately asked if I was being helped. Michael was very respectful and courteous as he listened to what I was looking for and he gave me an offer that was incomparable to those I received from other dealerships. Michael has a very calm personality that makes you feel welcome and comfortable throughout... the process. Although some sales consultants can be pushy or argumentative, I felt like Michael was on my side through it all. As a young buyer, I thought I wouldn't be taken seriously but he was professional and respectful the whole time. I didn't expect to buy a car that day but I walked out with my f-type that I absolutely love. He even FedExed me my new plates so I wouldn't have to make the trip and has even given follow up calls as well. Couldn't have asked for better service! Thank you!